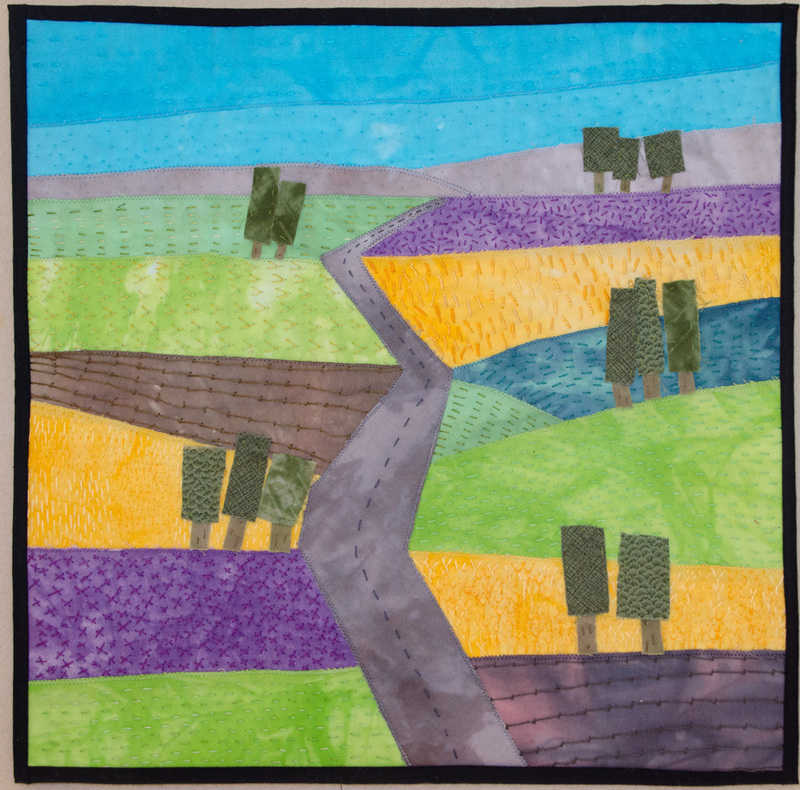 My quilt was inspired by a trip taken during September that took us through some beautiful farming areas, some paddocks were in full bloom with canola, others were bright purple from a weed known as “Salvation Jane” (Echium plantagineum), then there was the wheat paddocks and some that had been ploughed. The style of my quilt was influenced by Ton Schulten. I used hand dyed and commercial cottons and relied on hand embroidery to accent the paddocks. I didn’t know you lived on the Canadian Prairie, Kaylene… (grin). Delightful piece — and to think it connects us 1/2-way around the globe. Thank you! 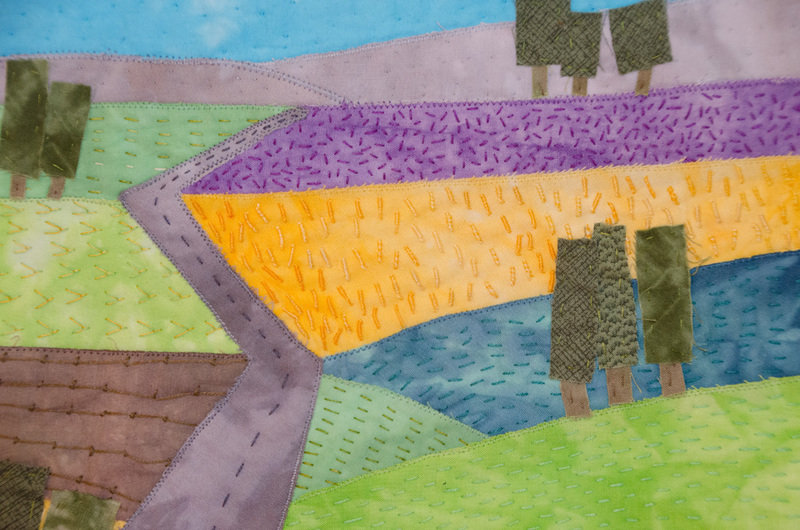 Very effective Kaylene, I love the use of the stitching to add texture to the landscape. I love how you have used embroidery to add texture.